There’s something about the ultra-slim lighters, elegant fountain pens and leather bound writing boxes in S.T Dupont’s current collection – a selection of which can be seen at William & Son’s Bruton Street store – that instantly transport you back to a bygone age of luxury and glamour. Think Casablanca, the film that is, or any other epic made during the golden age of Hollywood and there you have it. Since its beginnings in 1872, the Paris-based luxury goods brand has acquired an impressive following; from emperors and statesmen to Picasso, Audrey Hepburn and Humphrey Bogart. Today, its expertly crafted products are a hit with the more modern-day glitterati. This year marks S.T Dupont’s 145th anniversary. Brand CEO Alain Crevet is the man charged with bringing this historic luxury label to a younger audience and advancing it into the digital age through its recently launched e-commerce site. Fusing old with new is also part of the challenge. 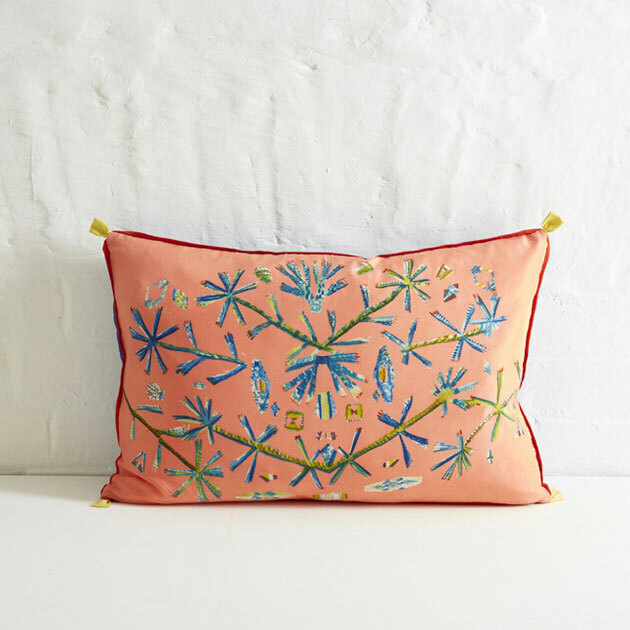 All of its products are produced by skilled craftspeople at its factory in Faverge, France. “As a heritage brand that is committed to innovation, we grow with new technology but stay true to traditional craft techniques,” says Alain noting the 150 steps it takes to create each of its signature lighters. Prior to joining S.T Dupont, Alain headed up LVMH’s perfume and cosmetics division. He is also a member of the Colbert Committee, which unites the largest French luxury brands and promotes them around the world. Alain could also be described as an indefatigable traveller. He also plays rock guitar in his spare time and when in London, always makes time for a stop at the Gagosian and Halcyon galleries. Perhaps packing for yet another business trip, visiting new stores and speaking directly with customers, spurred the idea to launch S.T Dupont’s latest foray into travel pieces. It’s new Iconic collection for instance, features a selection of travel bags and wallets. The line also boasts a dyed cotton canvas and leather holdall, similar to one that was previously commissioned by Humphrey Bogart. The story goes that ‘Bogie’ came to S.T Dupont in search of a travel bag, one akin to an oilskin doctor’s bag that was lightweight but rugged enough to stand up to the demands of his fast paced international lifestyle. Staying on a Hollywood note, S.T Dupont recently launched several new products to coincide with the opening of ‘Murder on the Orient Express’. The most decadent, a limited-edition collector’s writing set is available to purchase for the sum of £1,500 at William & Sons. The set is inspired by the original 1930s S.T Dupont trunk case previously owned by Princess Eugene. Look closely and you will spot it whenever the camera pans around Princess Dragomiroff’s onscreen cabin. It’s beginning to look a lot like Christmas in the heart of the capital, now that Claridge’s has revealed its highly anticipated designer tree. This year, it has been given a quirky twist by fashion maestro, Karl Lagerfeld. Who better than the creative director of the Chanel and Fendi fashion houses, to add a touch of monochrome magic and luxe sparkle. You only have to look at the current Chanel collection for dazzling fabrics and one of the party season’s most coveted items, Chanel’s knee-high glitter boots. This is the eighth year that Claridge’s has invited an iconic name from the world of design to create a unique installation in their own distinctive style. Previous guest designers have included Alber Elbaz, Dolce & Gabbana, Apple CEO Jony Ive and the industrial designer, Marc Newson. For his design, German-born Lagerfeld has turned the notion of a freestanding tree on its head – quite literally – by hanging it upside down and high above the Claridge’s’ Art Deco staircase. And in case you were wondering, the tradition of hanging a tree from a ceiling by its base has its roots in antiquity. As legend has it, the English monk Saint Boniface who went to Germany in the 7th Century to preach the gospel, first discovered this practice there. It is said that Boniface used the triangular shape of the Fir tree to describe the Holy Trinity of God the Father, Son and Holy Spirit, and by the 12th Century the fad for inverting trees had spread to Central and Eastern Europe as a symbol of Christianity. Meanwhile, back in 21st Century Mayfair, Karl Lagerfeld’s magnificent spruce measures 16.ft tall and is festooned with metallic-coloured foil streamers and snowflake decorations. At its top, or should that be trunk, sits a large silver star, while at its foot lies a circular shearling rug. “Christmas trees are the strongest ‘souvenir’ of my happy childhood,” says the designer of his latest creation. Elsewhere at Claridge’s, for the first time in its 151-year-old history, the celebrated hotel has created a series of Claridge’s Christmas hampers, packed with the same gastronomic treats that visitors can enjoy in its Foyer, Reading Room and Fumoir bar. Three sizes of lidded willow baskets are available to purchase: the Davies Hamper (£295) containing aged Negroni and a signature Christmas pudding amongst other goodies. Then there is The Brook Hamper (£495), which includes a bottle of Laurent-Perrier La Cuvee Brut and Pierre Marcolini Caramel & Praline Chocolate Squares. And finally, The Mayfair hamper, the largest of the three, which includes a Dundee Cake and a copy of the recently launched Claridge’s Cookbook. The latter features the Lobster Wellington, which was created for 2016’s Christmas tree launch party. Or if you prefer, skip straight to the cocktail section. Happy Christmas! This month at the Berkeley, Knightsbridge, suite guests can enjoy rooting through a one-of-a-kind fashion trunk exclusively curated by digital vintage fashion boutique Vestiaire Collective. Room service is pretty much the same the world over, but have you ever rung down for a pair of vintage Christian Dior earrings with your Earl Grey? 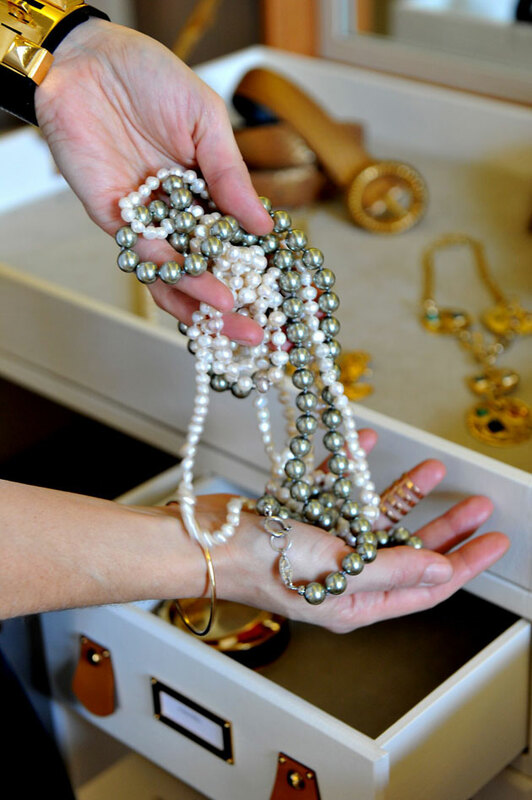 At the Berkeley however, one call to the concierge is all it takes and a fashion trunk will be delivered straight to your suite full of rare vintage accessories to try on and borrow free of charge. Fanny Moizant, co-founder of Vestiaire Collective the luxury resale site that sells pre-loved pieces to new owners, is responsible for curating the trunk’s coveted contents. Its drawers contain some of the most sought-after accessories spanning from the 1950’s to the 1990’s. These include a Chanel silk satin evening bag from the early 1980’s, a pair of Christian Dior earrings from 1985 and a Hermes lizard skin bracelet from the early 1990’s. If I had to choose though, I would probably pick the Celine necklace from the latter part of the 1990’s or the beautiful Yves Saint Laurent scarf from the same era. It’s a tough call. So how did Moizant make her edit? Meanwhile, the stunning bespoke trunk is handcrafted in England by Norton MacCullough & Locke. There are eleven drawers of various sizes, an engraved mirror and a suede-lined tray on which the accessories of choice can be taken to the dressing table. Guests staying at the Berkeley’s new suites; the Chelsea, Berkeley and Terrace, can also purchase their picks upon check out. Alternatively, should they wish to explore Vestiaire Collective further, the digital boutique has an array of vintage pieces on offer to buy online from the comfort of their suite. I’m curious to know though, in terms of buying vintage fashion, are there any particular pieces or decades I should be investing in now? Meanwhile, back at the Berkeley, where better to wear your pick from the vintage trunk than at its newly relaunched Blue Bar. Created by the late David Collins, this much-loved watering hole opened its doors again last month after a six-month restoration project undertaken by one of Collins’ former design protégés Robert Angell. As the lighting dims for evening cocktails flaunt that Saint Laurent chain strap bag – even if it’s yours just for one night! 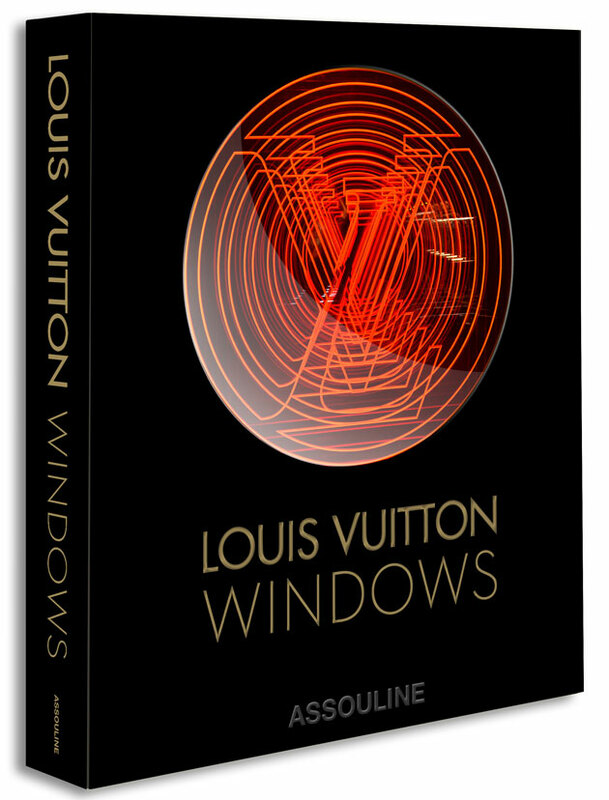 From Maison Assouline, the French publishing house behind many a beautiful fashion/art tome, comes Louis Vuitton Windows. This hand-bound, oversize ‘Ultimate Collection’ edition showcases the 35 façades created by Vuitton’s visual image director Faye McLeod, since 2009. 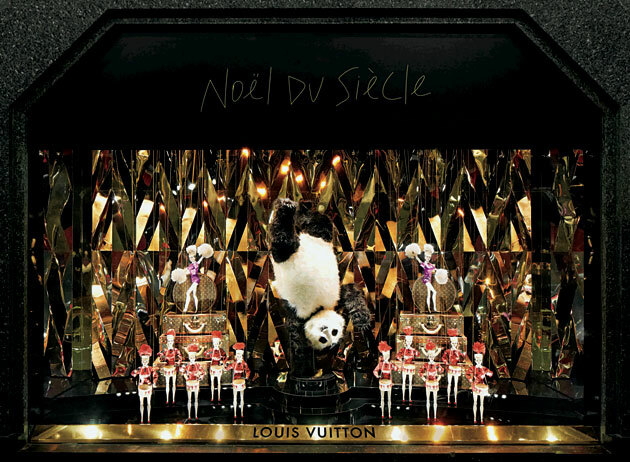 Today, Glasgow-born McLeod’s whimsical set designs continue to appear in Louis Vuitton’s windows worldwide. Together with senior designer Ansel Thompson, Faye and her team hatch magical stories from a design studio in New York. Prior to her Louis Vuitton sets causing shoppers to stop dead in their tracks on the shopping streets of Tokyo, Milan, Paris… Faye cut her teeth at Liberty department store. It is also where she met Ansel. 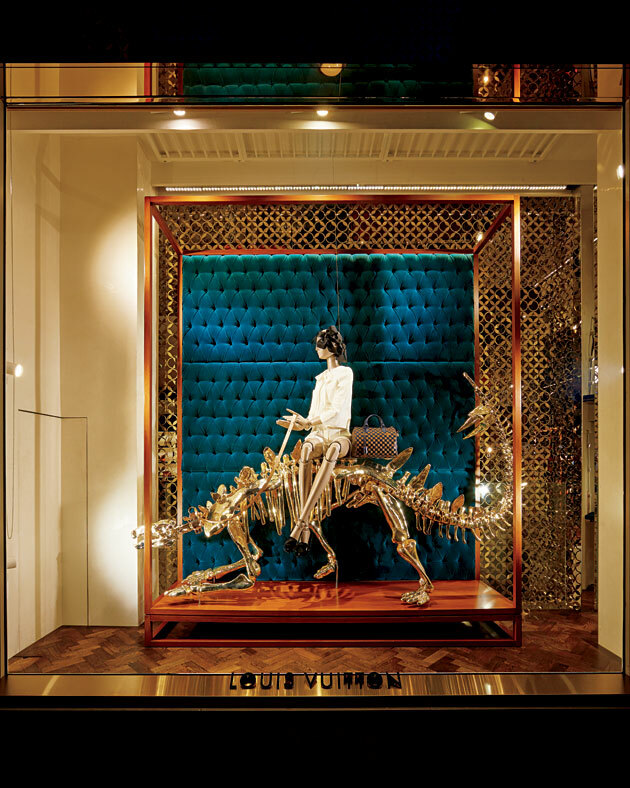 Her first major production for Louis Vuitton was the opening of its New Bond Street flagship in 2010, for which she created a ‘Cabinet Curiosite’ filled with creatures in glass jars. Since then, her artistic creations have included stuffed ostriches with elongated necks, a huge toy panda standing on its head and sculptural aluminium sails designed by Frank Gehry. 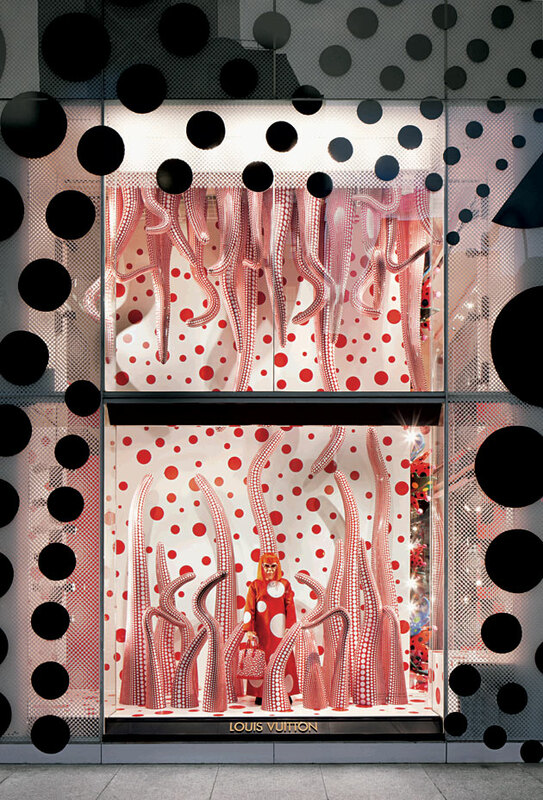 Then there are the 3-D polka-dot octopus tentacles, courtesy of the Japanese artist Yayoi Kusama. And let’s not forget the gilt-covered dinosaur skeletons, which looked as if they had escaped from the National History Museum. These and many more of the storied French luxury brand’s celebrated vitrines are presented as works of art over the book’s 168-pages. 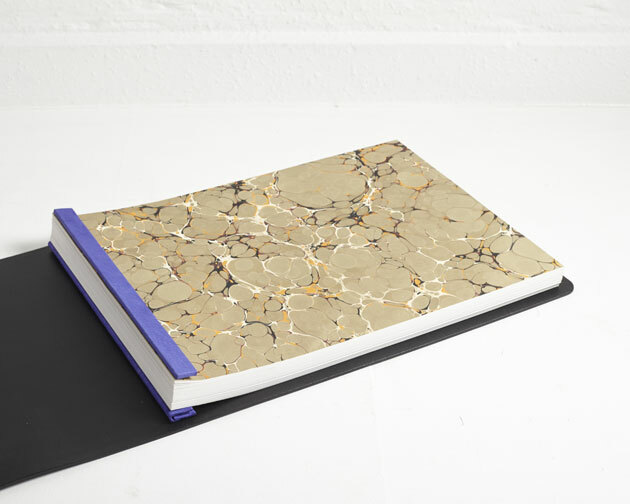 The hand-bound edition also features sketches and mood boards, which give a unique peek into the creative process. New York Times fashion director, Vanessa Friedman, has written the book’s fascinating intro. 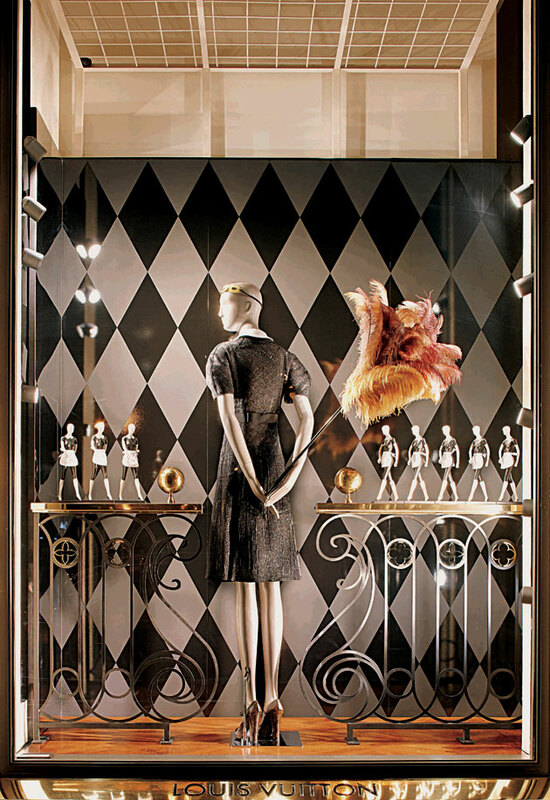 A stroll down Bond Street shows that creativity is flourishing behind the glass panes of its famous emporiums. For many, the shop front is an ever-evolving blank canvas – a place where designers can have fun as well as be challenging and experimental. It has the power to captivate an ever more discerning group of pedestrians. I for one will be waiting for the curtains to go up on Louis Vuitton’s latest collections. Ever since its inception 12 years ago, Dover Street Market has been a mecca for an eclectic crowd of shoppers and fashion insiders. 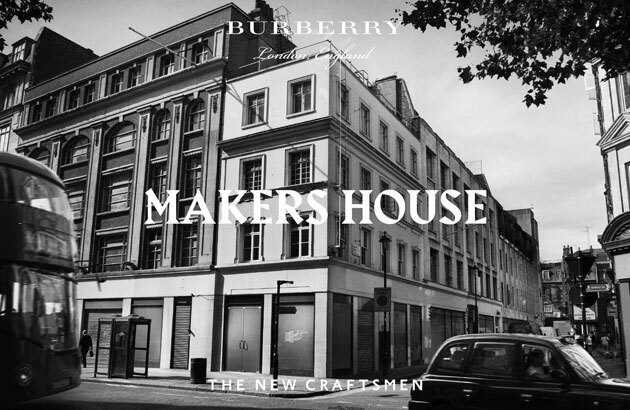 So last year, when news broke that this edgy multi-brand store owned by Comme des Garçons was to shut up shop on Dover Street and move into the old Burberry flagship on Haymarket next month, it put many a loyal follower in a spin. Home to a cool mix of international brands from Martin Margiela and Loewe to relative newcomers, Molly Goddard and Phoebe English, Dover Street Market, or DSM for short, has after all become synonymous with the street it sits on. When the six-floor universe opened in September 2004, Dover Street was, for want of a better description, a retail backstreet, far from what it is now lined by the likes of Victoria Beckham, Acne and Wolf & Badger. In keeping with Kawakubo’s creative concept, design houses were given carte blanche to determine their own brand spaces within the store, whilst artists, film and theatre designers were also invited to put their stamp on existing spaces. A myriad of innovative designers and artists have passed through its doors; The Chapman Brothers, Ai Wei Wei, Marc Quinn, Tracey Emin (she launched her ’Serpentine’ fragrance here) to name but a few. Frieze London and the ICA gallery also staged pivotal shows here – often taking over every available inch of floor space. Meanwhile, DSM recently expanded its jewellery section to include fine jewellery pieces from an array of new, independent jewellers, thus changing the way luxury jewellery is sold. And let’s not forget the incredible window displays. These range from Tim Walker’s toy soldier theme to Chanel’s set featuring cardboard cut outs of Karl Lagerfeld. 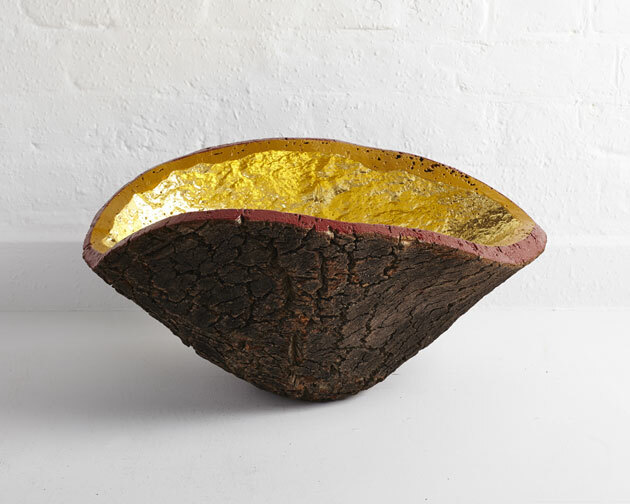 Other personal favourites include Artek’s kooky taxidermy installation and the floral displays of Petersham Nurseries. There are so many more memorable moments, for instance the time when Patti Smith and PJ Harvey played an intimate gig in the basement of the store to celebrate the launch of Ann Demeulemeester’s book. The Chanel invasion of Dover Street Market was another highlight, as was the store’s ten-year anniversary when brands created one-off pieces and a huge boarding took over the entire facade. Personally, I’ll miss the Rose Bakery on the fourth floor with its views of a higgledy-piggledy central London skyline. Still, it’s not too far to stroll to its new home on Haymarket. And while it might be the end of an era for Mayfair, moving its stock of international clothing and accessories brands to Haymarket will no doubt do wonders for London’s less fashionable part of the West End.